Here he goes again. A well-known person that Jack happened to have been near to twice in his life dies. Suddenly, he was a close friend of Jacks ! What do I mean? Look at ATRA site's latest claim to fame. Any chance meeting, even though it was in a crowd or a case of being in the same building at the same time, makes a famous person 'Jacks friend'. How sad is this? A lonely old man nearing the end of his worthless, non-productive life trying to get respect and attention wherever he can. The one thing he nearly got right was getting the Thai Ridgeback breed known overseas. 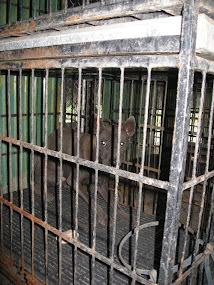 Jack writes the story like the Thai people had not done anything about breeding and seem really not to have noticed them ! Laziness, arrogance, greed, ignorance and no knowledge of dog behavior is why he never really made it. These days he can't even give them away.If he did he would just increase his production line and be in the same state again in a year or so. Any half-descend breeder goes to shows, interacts with other breeders in the area and learns from the experience. No photos to show of anything like that from Sterling. Not good ol' Papa Jack, he's been out of the ring so long he's not 'Yesterday's man' he's 'FORGOTTEN MAN'.In Jack's case they ban him from sites and membership of breed clubs. His loud and slandering responses to anyone who disagrees with him are more than decent people will stand. Result, he's all alone. Sadly, another thing that this latest nonsense draws attention to is the recent postings on his ATRA site. So many people are described as 'my friend' or' My Thai friends'. He has repeated his usual trick of calling people who he has just met ' my friend'. He's so quick with the camera. That's not how it works Jack. Just because they speak and smile it does not make them your friend. Frankly, you disgust most people, especially Thai's. 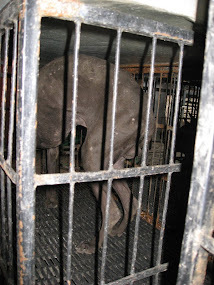 The Animal Welfare photos are quite convincing at face value. 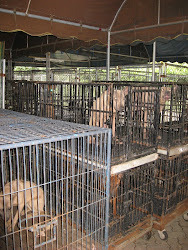 Anyone living in Thailand knows how low standards of puppy mills are. Jack shows some smiling Thai officers but Thais are known world wide for their constant smiles. True the men went to Jack's but there is only his word about why they went and what they found. A small amount of money will produce a very favorable reaction over here. Say no more...Let's see a report in Thai, Jack. Another thing is he has no website to speak of. He posts silly jokes on ATRA because he has no interaction with the dog world. We don't care about who cuts your grass. Don't good breeders have a pedigree line after so many years in their breed? Millers don't...their dogs are just commodities. Don't insult us by writing your rubbish about how great you are. You live a shocking life. No wonder you are all alone.